A neuroma is an enlarged, benign growth of nerves. 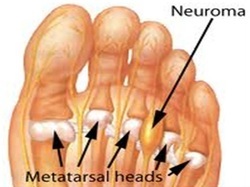 Morton's neuroma is a thickening of tissues around the nerve that leads to the toes, caused by tissue rubbing against and irritating the nerves. 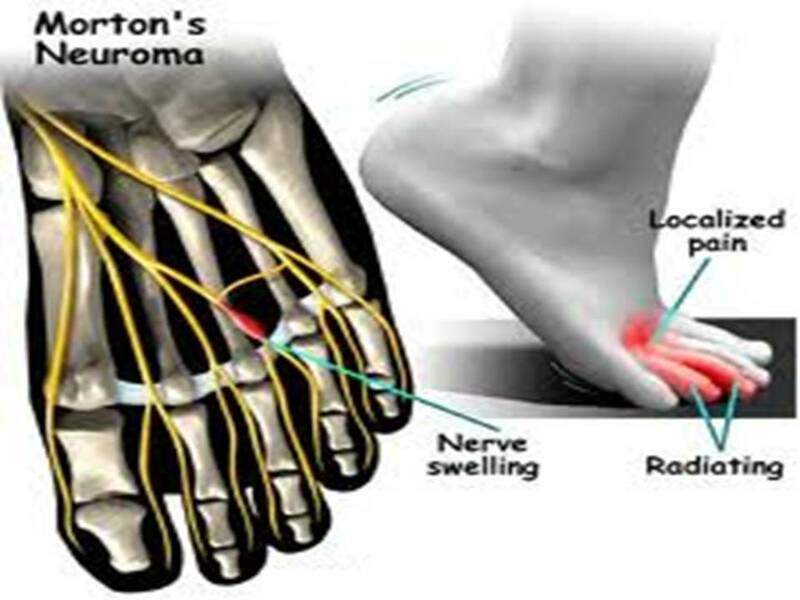 Morton's neuroma usually develops between the third and fourth toes in response to an abnormal bone structure, unstable forefoot or due to pressure from poorly fitting shoes, wearing high-heeled or narrow, tight shoes or from trauma. Symptoms include sensations of burning, tingling, numbness or pain in the ball of the foot that radiates to the toes. The symptoms may present and disappear spontaneously. Treatments generally include wearing corrective shoes or orthotics and/or receiving cortisone injections. In severe cases, surgical removal of the growth may be necessary. Orthotics support the forefoot and arch which prevents the metatarsals from dropping. As a result, this helps reduce the squeezing of the nerve and consequent tingling and pain associated with Morton's Neuroma.